Attorney John Coletti is a personal injury lawyer based out of Portland who represents clients throughout both Oregon and Washington. Throughout his career, he has won several million-dollar verdicts for his clients. Some of those include a $12 million defective product case and a $5 million defective pain medication pump case. Not only has John obtained large verdicts, but he also has obtained record-breaking and rule-changing verdicts. The Inner Circle of Advocates has selected John as one of only 100 members. The organization, which was founded in 1972, comprises the nation’s top attorneys based on criteria spanning both their personal character and their courtroom success. 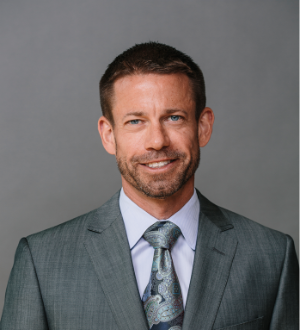 John is also one of “The Best Lawyers in America” as ranked by U.S. News, among the Top 10 Oregon Lawyers by Oregon Super Lawyers, and one of Portland’s Top 10 Lawyers by Portland Monthly. He has also been voted “Lawyer of the Year” in the practice area of product liability litigation. A native Oregonian, John is a passionate advocate for people in his home state as well as neighboring Washington. When he is not working, he enjoys spending time with his two children and competing in triathlons and marathons.